Everything is bigger in Texas and so are the real estate opportunities in the Dallas-Fort Worth metroplex area. There has never been a better time to look at Dallas real estate and we here at Reed Real Estate are ready, willing, and able to locate the home of your dreams. Whether you are looking to remain close to the bustling scene of Dallas, Texas or prefer to live quietly, with just the stars to keep you company then you are in luck. Just like an assortment of homemade pies, there’s a little something for everyone in the Metrotex Dallas area. With so many great areas on the outskirts of this fabulous city, you have plenty of selection. Reed Real Estate will personally assist you in locating your very own piece of the pie. Mesquite, Texas – An eastern suburb of Dallas, named for Mesquite Creek in 1873, has seen its share of growth over the years with no end in sight. The perfect suburb to call home if you are looking for a small but not too small community to live in, Mesquite is conveniently located to Dallas with short drive of 20 minutes or so. Garland, Texas – Located in the northeast area of Dallas-Fort Worth metroplex, Garland is less than a 30 minute drive from the city. Residents here appreciate the outstanding schools, community feel, and that there are plenty of things to do in Garland. Heath, Texas - With less than 7000 people, Heath is the perfect place for those seeking a more laid back lifestyle within a premiere lakeside community feel. Part of the Rockwall ISD, schools for the area include Dorothy Smith Pullen Elementary, Amy Parks-Heath Elementary, Maurine Cain Middle School, and Rockwall Heath High School. Rockwall, Texas – Considered the third wealthiest and yet smallest county in the State of Texas, Rockwall offers more than just a downhome feeling. As a suburb of Dallas you are close to the convenience of the city for work or play. The best part is, at the end of the day you are riding home to clear open skies, friendly neighbors, and amazing Texas views. Reed Real Estate also specializes in such Dallas suburbs as Richardson, Rowlett, Wylie, McLendon Chisholm, Fate, Forney, Fort Worth, Lavon, Sachse, and Sunnyvale Homes for Sale. No matter the Dallas area you desire Reed Real Estate can get you there. 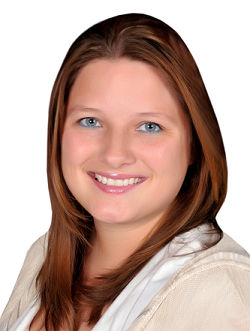 Professional agent, Kandice Reed, is looking to earn your business when it comes to buying Dallas real estate. With honesty and integrity, you will be confident you are getting the best real estate agent in the Greater Dallas area. Let Reed Real Estate show you the most up-to-date Dallas real estate listings. We will have you home in no time.